We also have the full list of winners! 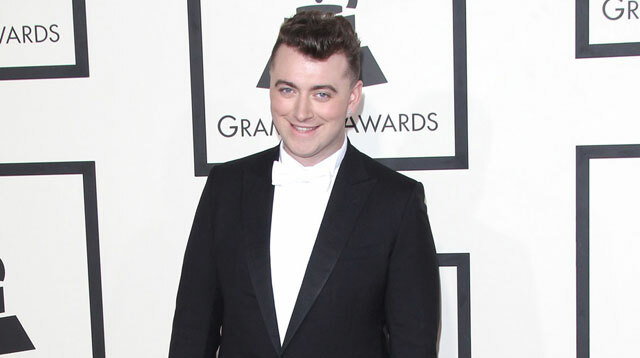 Sam Smith was the big winner at the 57th Grammy Awards, taking home four trophies. The British singer appeared emotional as he picked up the evening's first prize, Best New Artist. His win was immediately followed by more awards for Record of the Year and Song of the Year for his hit "Stay with Me" and Best Pop Vocal Album for In the Lonely Hour. Sam—who also teamed up with Mary J. Blige for an orchestral version of "Stay with Me"—told the audience at Los Angeles' Staples Centre: "I just wanna say that before I made this record I was doing everything to try and get my music out. I was trying to lose weight and I was making awful music. It was only until I started to be myself that the music started to flow and people started to listen." One of the biggest shocks of the night came when Beck scooped Album of the Year for his LP Morning Phase—which also won Best Rock Album—beating the likes of Sam Smith, Pharrell Williams, Ed Sheeran, and Beyonce. Kanye West—who infamously crashed the stage when Taylor Swift beat Beyonce to the Best Female Video prize at the 2009 MTV Video Music Awards—couldn't resist poking fun at the moment as he made his way onto the stage as Beck accepted the prize and seemed about to interrupt his speech before thinking better of it and turning away. Cameras then cut to Beyonce who appeared to mouth: "Not again." Beck didn't seem too upset by the interruption, telling the Kanye: "Come back, come back. I need some help." "Drunk in Love," her collaboration with husband Jay Z. Taking to the stage to collect Best R&B Performance, she said: "Wow, thank you guys so much. This is such an honor. I'd like to thank God...This has been such an incredible year. I love y'all. I'd like to thank my beloved husband. I love you deep. My daughter who's watching, Blue, I love you. I'd like to say thank you to my Beyhive. Thank you guys for riding so hard." Pharrell Williams was the night's other big winner, taking home three awards. He scooped the prizes for Best Music Video, Best Pop Solo Performance for "Happy," and Best Urban Contemporary Album for G I R L.
Other winners at the prestigious annual ceremony, which was hosted by LL Cool J, included Kendrick Lamar (whose track "i" won both Best Rap Song and Best Rap Performance), Eminem, Carrie Underwood, and Jack White.